The ORCATORCH D550 is equipped with a totally sealed magnetic controlled tail switch which offers high waterproofness and easy operation underwater. Using the latest USA CREE XM-L2(U2) LED, max 720 lumens output and over 4 hours 30 minutes runtime, this portable diving light offers high and low two modes and one strobe mode for different diving environment use. Plus robust water pressure resistant construction, high portability and easy operation, D550 would be qualified for both recreational diving as a primary light and deep diving as a backup light. Hi, was This Page Helpful? Learn to Scuba Dive in Phuket with our professional PADI open water dive instructors & discover a delightful range of marine creatures that will draw you into scuba diving in Phuket for many many years to come. Take the first step and check out what Aussie Divers & PADI can offer you as a beginner to the world of scuba with PADI Discover Scuba Diving & the PADI Open Water Certification. When scuba diving in phuket you will hear the term day trip being used, a 'Day Trip' is simply a series of dives on one of the larger dive boats operating here. So a typical day trip will see you doing two to three dives from a large and comfortable dive boat which will take you to some of Thailand's most beautiful dive locations. Don't hesitate, book your day trip today and start scuba diving Phuket! Aussie Divers Phuket is a PADI 5 Star IDC Dive Centre and the home to Phuket's most professional scuba diving education. 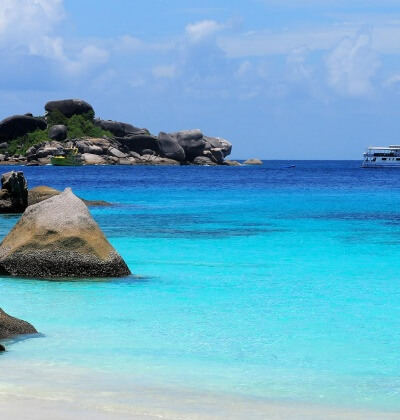 With a great range of PADI courses, fantastic instructors, we are simply the best place to book a scuba diving day trip or Similan Island liveaboard adventure whilst on holiday here in Phuket. We specialize extensively in first time dive experiences with the PADI Discover Scuba Diving & PADI Open Water Diver course, all the way through to the professional levels with our PADI Go Pro courses which include the PADI IDC Instructor & Divemaster Courses. Here at Aussie Divers we pride ourselves on a reputation for quality and professional education. 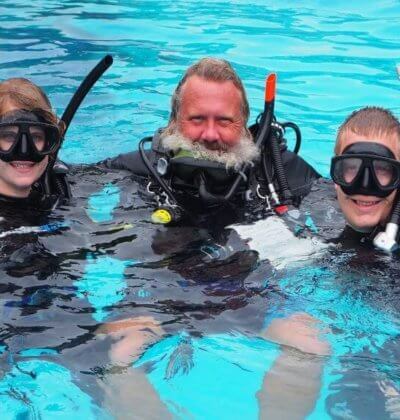 Our goal is to make sure you recieve the best dive training available whilst at the same time having a fun, safe, enjoyable and memorable experience here in Thailand. We also understand that your time is important to you whilst you are on holiday and we offer flexible course structures and day trips that will best suit your schedule. We can be as flexible as you need so that your holiday is as enjoyable as you planned it. Aussie Divers select only the best of Phuket's instructors, those who are inspirational, highly trained in a vast range of PADI courses and have an extensive knowledge of the all the local dive sites and marine life. 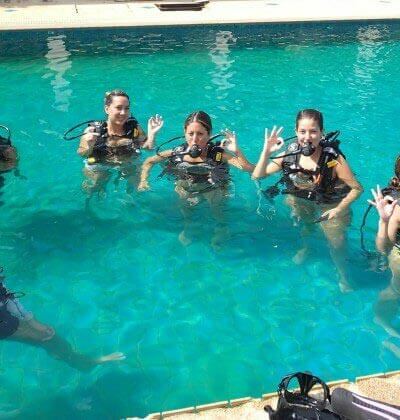 That way we can ensure that you, your family and friends have an awesome day scuba diving Phuket! Do I Need to Know How To Swim to Scuba Dive? What is the Underwater Visibility Like in Phuket? Do I Need to do a Scuba Diving Refresher? Aussie Divers are quite simply the only choice for scuba diving Phuket while you are on holiday here in Thailand, we are 100% dedicated to ensuring your scuba diving experience with us is unforgettable & guarantee you'll be left craving more. If you are not sure about diving with us than check out our TripAdvisor, page were we have over 1,800 five star reviews, you certainly won't regret diving with us! Get more from Aussie Divers by getting social with us.